MPlayer is one of the most popular media players. Many media players that are popular on the desktop are actually using MPlayer as their core. This is for instance the case for the two players KMPlayer and SMPlayer. Both offer an improved interface and better direct customization options. Basically, any player with "MPlayer" in its name uses MPlayer as its core and provides customizations on top of that. 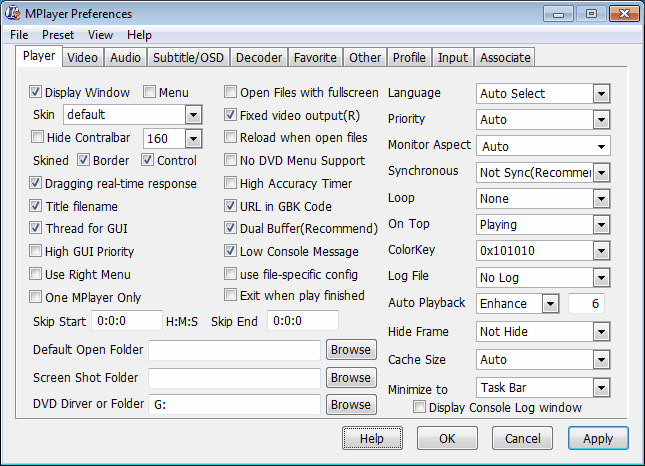 MPlayer WW is another MPlayer variant for the Windows operating system. It features a slick interface, great customization options and good resource management. It reduces the resource usage in Windows for a 700 Megabyte video file by about 15 Megabytes of computer memory when compared to SMPlayer, and even more if the video file size increases. A configuration window is displayed on the first start of the program. It displays hundreds of available settings which may confuse inexperienced users and is challenging even for advanced users due to the sheer number of options. These settings and options don't need to be changed at all; one option that you have is to simply click ok to keep everything set to the default value. Lots of settings can be changed during initial setup though: from keyboard shortcuts and the order of video and audio decoder use to subtitle handling, file associations, and direct audio and video settings. Some settings are quite useful. You can set a default open directory that the player will start the browser in whenever you activate open. Handy if media files are stored on another drive or network location. The preferences can be accessed in the player as well and it may be a good idea to use those first and make gradual changes to the functionality when the need arises. The MPlayer WW interface is minmal by design and offers exactly what most users need. The default skin displays controls at the bottom in a small bar. The controls include play, stop, and seek options, access to the playlist, a see bar, volume, equalizer and fullscreen toggle. Additional skins are available that can be activated directly to change the paint of the interface. Additional options are available via hotkeys and the mouse. The mouse is configured to trigger various options, including the ability to change the volume, to go forward and backward, stop the video, or enable full screen mode. The player supports all common audio and video formats thanks to MPlayer. It plays virtually any media file that you throw at it out of the box; no more codec installations or configurations. 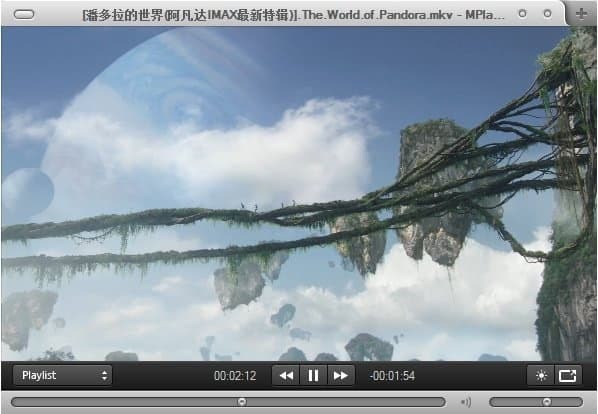 MPlayer WW is a solid media player with lots of features and options. It offers everything users expect from media players, and then some to please professional users as well. Windows users who want to try the media player can download it from the developer website over on Sourceforge. MPlayer WW is a well-designed media player for Windows that shines in the customization department. It offers lots of customization options that change default functionality and appearance. The one downside is that it has not been updated since 2015. It may still tick all the right boxes but don't expect support for new codec formats, bug fixes, or any other updates for the matter. I suggest you switch to another MPlayer-based media player like the already mentioned SMPlayer which is in active development and offers similar functionality. I will try this since KMPlayer seems to have ceased development. I installed this and have played around with it. It works fine but is NO WAY as robust as KMPlayer! It doesn’t seem to remember screen position (and I cannot find any controls for doing so). It has a very limited right-click menu compared to KMPlayer. I could not figure out any way to do screen captures, frame advances and make other adjustments that are readily available in KMPlayer. About screenshots, the hotkey is s for them. You may need to activate them in the settings though. Not sure what you mean with frame advanced, but if you mean going forward and backward, you can do that by pressing the right-mouse button down, and using the scroll wheel to do so. Today, most everything I open in MPLayer is in portrait mode instead of landscape. Can’t figure out why this happened or how to fix it. Left click freezes the display but I cannot find anyway to go back or forth, one frame at a time or in increments of time. The “S” key does nothing for me. I am dumping this thing! KMPLayer is heads and shoulders above this implementation. Hopefully, KMPlayer won’t be left to die. Well. I thought that KMPlayer was dead, but apparently not!